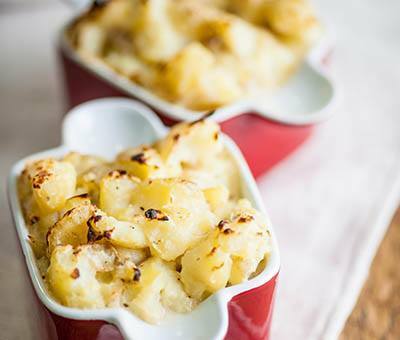 A simple fish pie made all the better with Carnation! Boil the new potatoes for 20 minutes until cooked. Crush the potatoes with half the Carnation Evaporated Milk. Meanwhile in a large non-stick pan, cook the onion on a low heat with the oil until cooked and glassy. Pour in the other half of the Carnation Evaporated Milk and bring to a slow boil. Add the diced fish to the pan and simmer for 10 minutes until cooked. Sprinkle over the parsley and pepper. Place the fish filling into a casserole dish and top with the crushed potatoes. Bake in the oven for 20 minutes or until golden on top. Rustic Fish Pie is rated 5.0 out of 5 by 1. Rated 5 out of 5 by Jeanne from Loved this dish, easy to follow and made my husban Just loved the fact it uses smashed potato instead of mash. A nice change.